These back-to-school rail safety tips could save your child’s life | Operation Lifesaver, Inc.
It’s back to school time! At Operation Lifesaver, Inc. the national, nonprofit rail safety education organization, back to school means sharing our safety tips for parents and caregivers, because trespassing on train tracks or property is the number one cause of rail-related casualties in the U.S.
Nearly 900 Americans were killed or injured in trespass incidents last year alone, so we want families to be aware of the need for caution around tracks and trains. Read one mother's story. Kids these days also have more distractions, like smart phones, that can make them less aware of their surroundings. Reviewing our safety tips will help keep students safe whenever their route takes them near or across train tracks. Cross train tracks only at designated pedestrian or roadway crossings, and obey all warning signs and signals. Railroad tracks, bridges, yards and equipment are private property and trespassers are subject to arrest and fine. It can take a mile or more to stop a train because of its size and weight; any approaching train is always closer and moving faster than you think. Never play or walk on the tracks, or use train tracks as a shortcut – it’s dangerous and illegal. Stay alert around railroad tracks - no texting, gaming, headphones or other distractions that would prevent you from hearing an approaching train. Please share our tips and graphic to raise awareness of the crucial importance of staying alert near railroad tracks and trains. 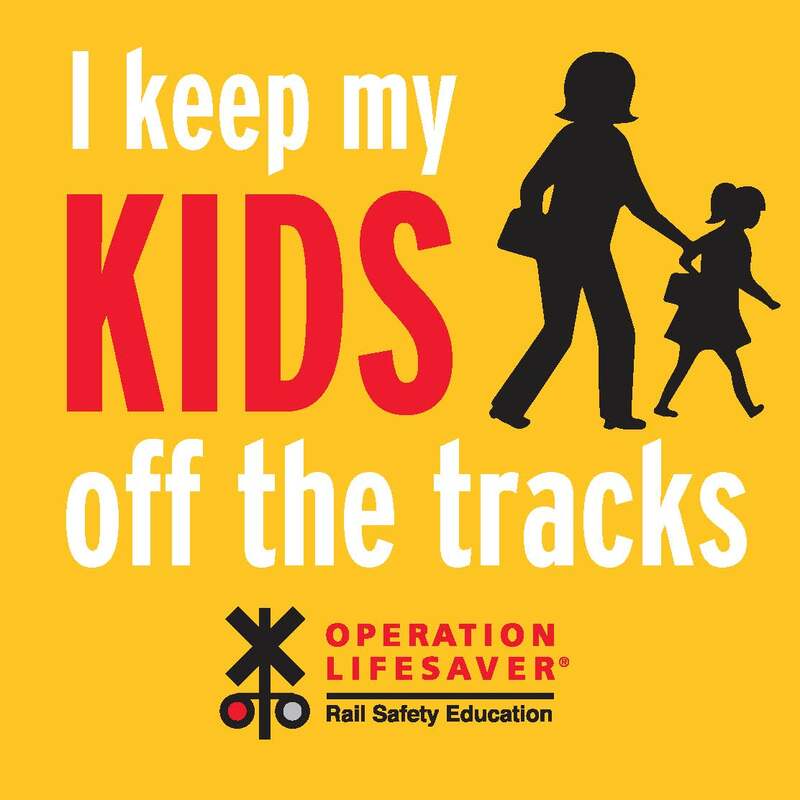 Our website, www.oli.org, is full of great information on rail safety, as well as lesson plans and activities for kids. Our “See Tracks? Think Train!” campaign website has even more information, videos and infographics to explore. Let’s make this a safe school year from beginning to end!